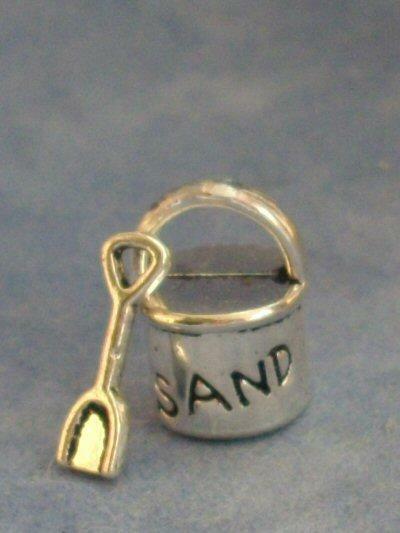 Miniature metal bucket and spade, suitable for a 1/24th scale beach themed scene. 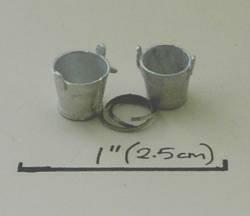 Bucket measures 12mm tall including handle. 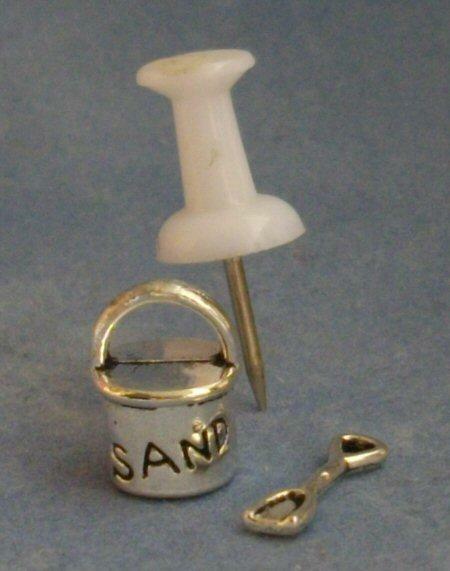 Spade measures 11mm tall.